How is that brain of yours doing? Crikey! It seems my brain is in dire need of a break. Hows yours feeling when you look at the stats in this infographic. Infographics – they are everywhere aren’t they? I can’t help but analyse my own online behaviour after having a look at this. I currently have 6 tabs open, I have a chat window open on one of those tabs and an email and twitter programme running in the background. The phone has rung three times tonight and I’ve had four texts. My poor partner trying to have a conversation with me at the same time while I’m so distracted. My poor brain! I totally relate to the email problem. I’ve come to the point where I turn mine off if I’m trying to do something complicated and get it completed at work. Working on a document with email flashing away as a new message arrives is the ultimate distraction. Worse than a phone call which deals with something immediately a fresh shiny email can cause me to feel the burden of yet another job to do, or something which I need to think about. So, right at the bottom in the what you can do section are the answers for me. Turn the technology off, devote specific times to specific tasks and stop trying to do too many things at once. Nobody is that good at multi-tasking it seems, even us women! Oh yes, myths and legends! 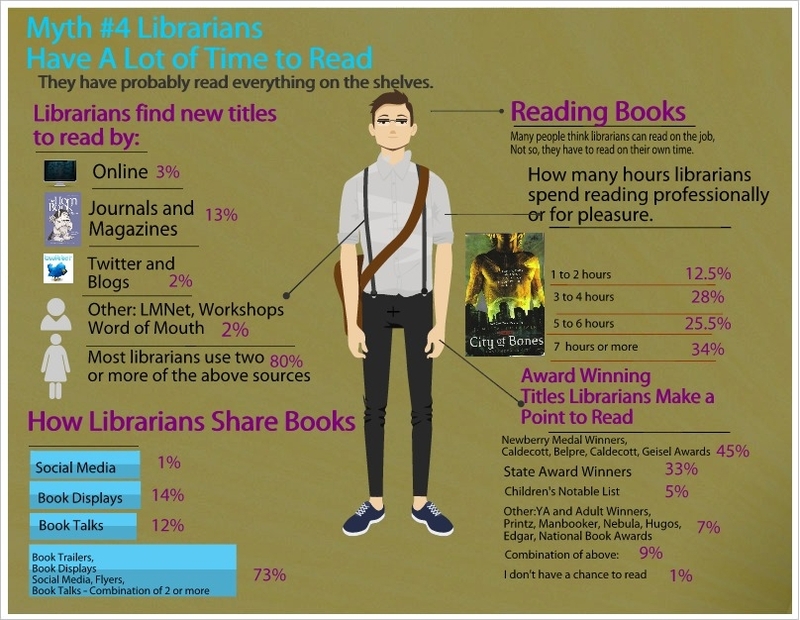 I love this Thinglink from Librarians On The Fly. My new fave blog. There was a question recently on the listserv about how to choose books for senior students, there was a deluge of responses with suggestions of ways and means. This image has some answers to that question. Also, in the ‘This irritates me constantly department’ I always resent it when people assume that I have time to read during paid work hours. Seriously? Haven’t you looked into my workroom, that mass of paper, books half processed, projects half completed, displays half put up, planners all over the show, timetables being adjusted. Oh and look I’m not in my workroom, I spend at least half of every day out working with teachers and students in their classes. Oh how I’d love the time to sit in a cosy chair and read at school – oh wait that is what I set it up for the students to do! Lucky sods. Or alternatively celebrate that today is Friday and there will be two whole days before you head back to your library coalface. I believe that a literary cocktail may be in order at my place. The sun is finally out, the birds were even heard to be singing and I’m hopeful of at least a modicum of sun this weekend (although I will be working at a minder at the Storylines Dunedin Festival on Saturday). Should a cocktail be your thing, I think that you should head on over to this page and have a look at the inspired concoctions they have listed for your pleasure. I think I’m in for a Gryffindor. Perhaps with a Gin Fitzy to follow. That would probably do in and would be followed promptly by a weekend appropriate lie in. From NPR’s Best-Ever Teen Fiction poll where the incredibly huge number of 75,220 people voted for their favorite young adult novels. The list of finalists to choose from is here. That list is very probably the best buying list for a high school ever – discounting Australian and New Zealand books – yes I did see Marcus Zusak there, but you can’t leave Scot Gardner off any list of YA fiction in my opinion. Anyway the final list has all the usual suspects like Harry Potter and The Hunger Games, but there are some unexpected titles on there as well. Ann of Green Gables? Call of the Wild? I guess the voting is open to one and all, but I can’t imagine any of the teenagers I work with voting for this kind of book. There are lots and lots of recent and old school wonderful books on the list. Crikey John Green makes the the list 5 times! 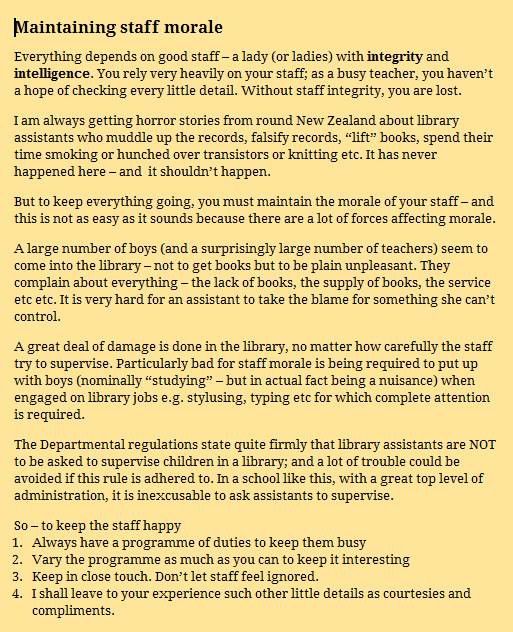 If you are new to school libraries these are exactly the sort of lists that make life easier. Read your way through this list in a year and you’ll have lots of wonderful books to recommend to your students for years to come. Or check your shelves to make sure you have these books and if you don’t, it makes a great starting point for making buying plans for next year. Here is the link again. Is there *nothing* those Green brothers can’t do?